Product #611 | SKU BINTSSHU | 0.0 (no ratings yet) Thanks for your rating! 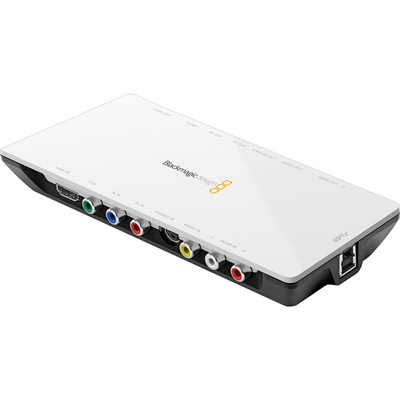 The Blackmagic Design Intensity Shuttle is a 10-bit HD/SD video capture/playback device that supports USB 3.0, and allows you to capture 10-bit HDMI or analogue video directly from a camera onto your computer for professional editing or mere playback. With a neat, compact design, the Intensity Shuttle is very portable and easy to set up. As the input and output connections are on different sides, you can simply plug the unit in line with your existing cable setup.